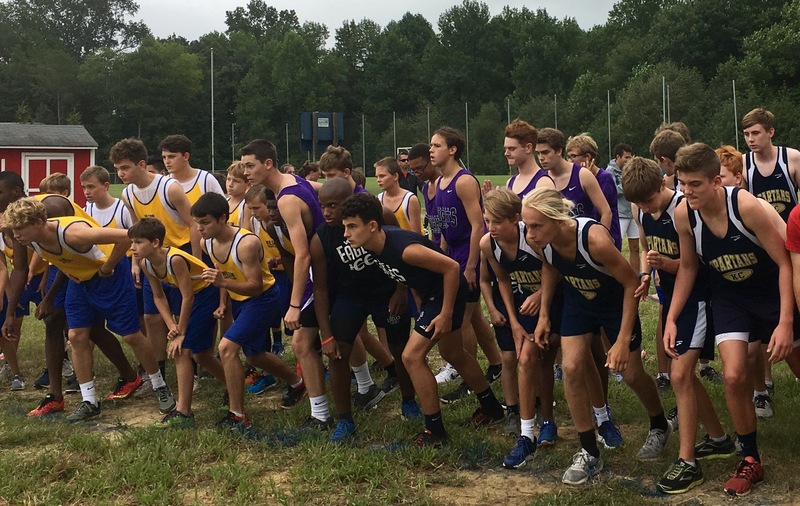 The varsity boys team lines up for a race against several other schools at Wayne country day. 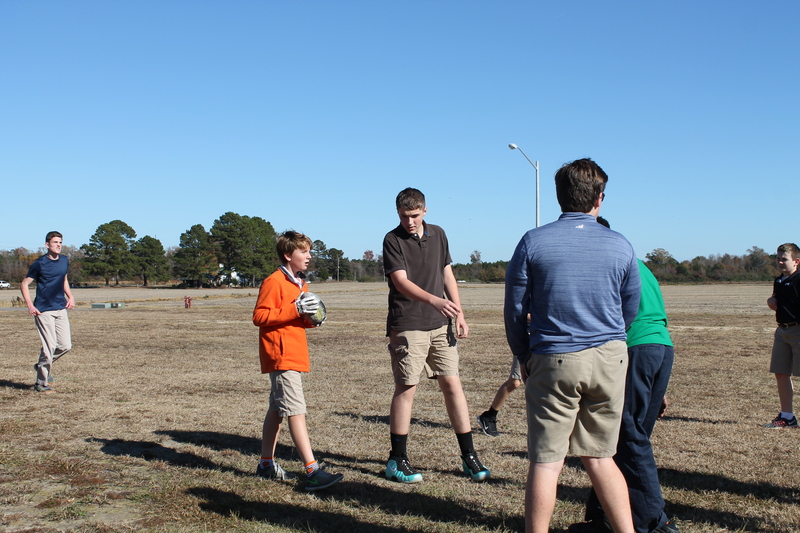 Kaleb Bagnal, 7, and AJ Ange, 9, devise a plan during a scrimmage football game during lunch. 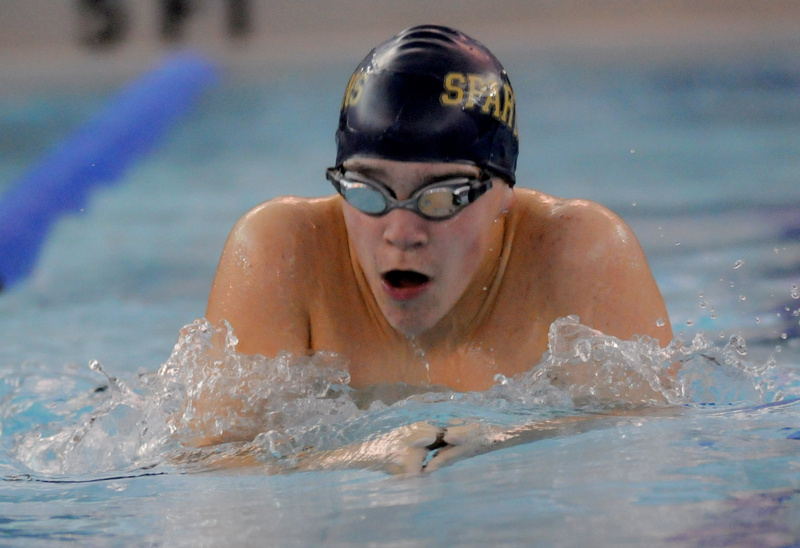 Max Gibbs, 9, takes a breath during a 100 meter breaststroke race. Photo by Scott Davis. 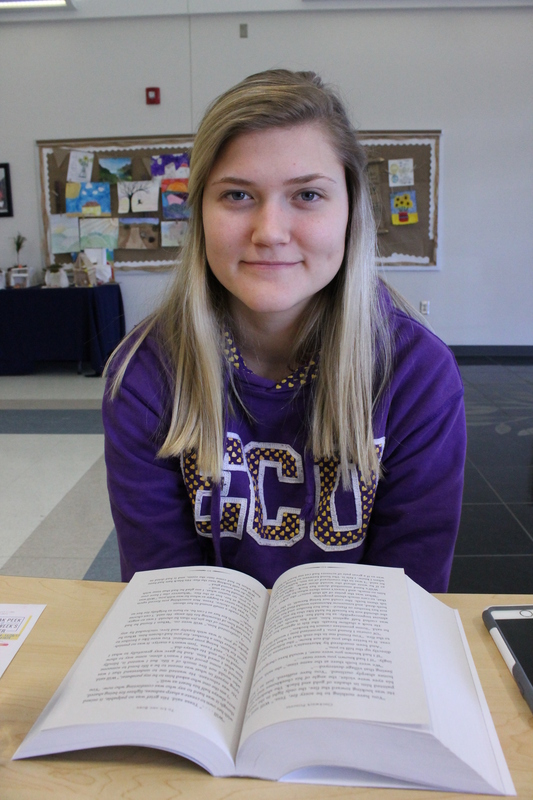 Kelly Harris, 12, reads from her favorite saga during lunch at the upper school. 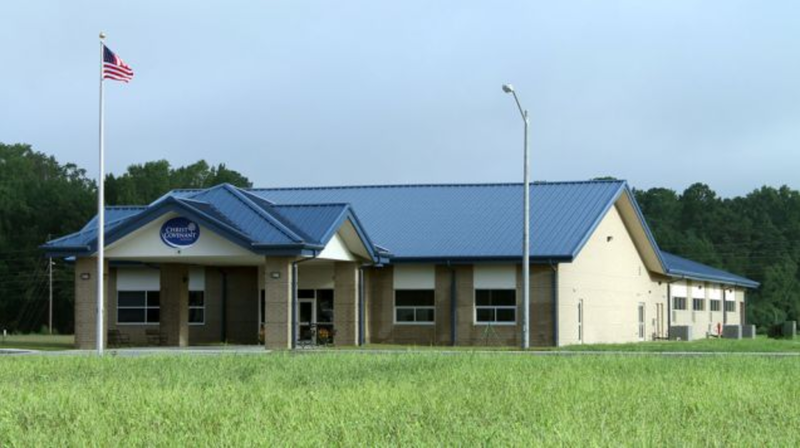 The Upper School on the first day of school, 2016. 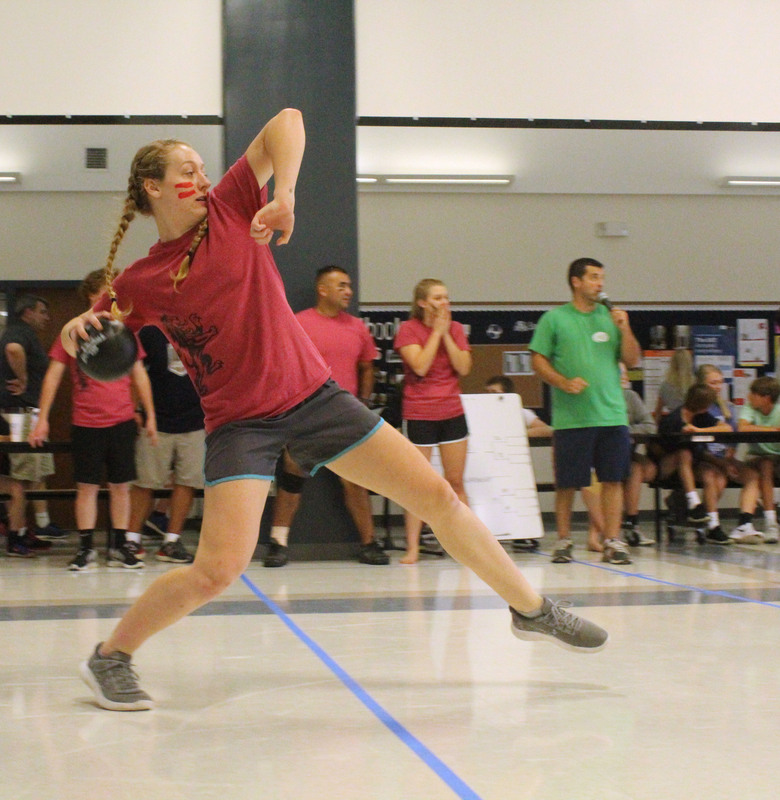 House of Paul member, or “Paulian,” and twelfth grader Bethany Lee, prepares for a powerful throw during the House dodgeball challenge. 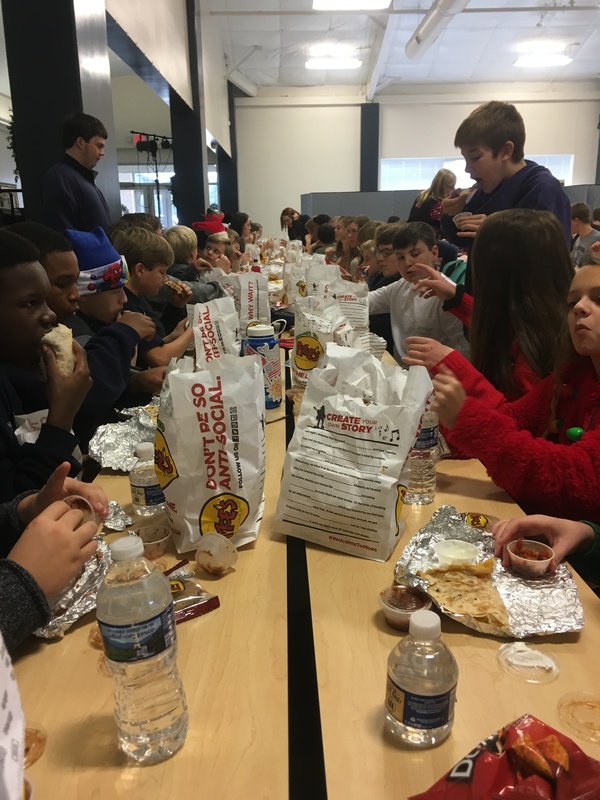 Upperclassmen enjoy Moe’s at hot lunch on Friday, December 15, 2017. 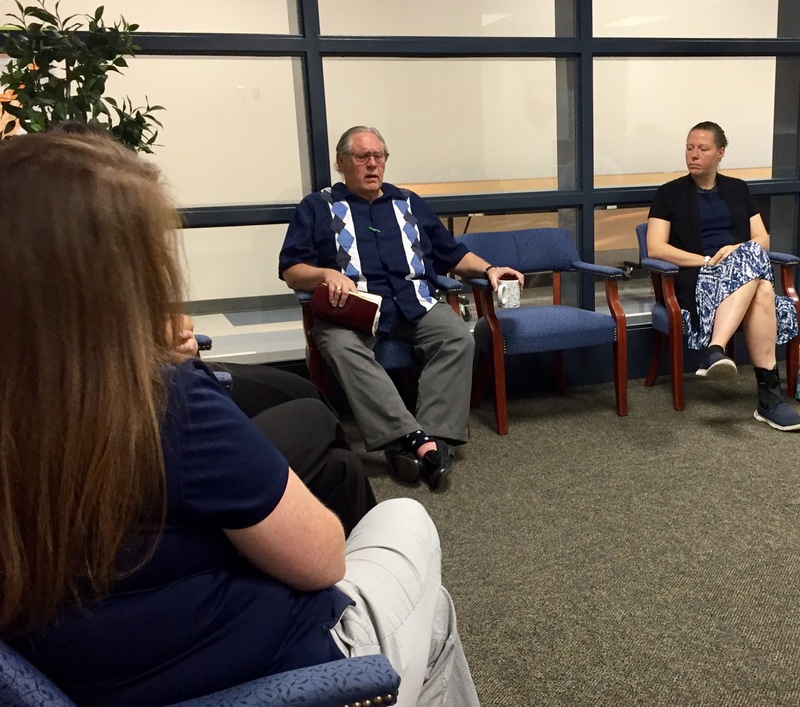 Jon Alder shares a praise with the faculty and staff. Going around and sharing something praiseworthy is one of the things that they do every morning before they pray. 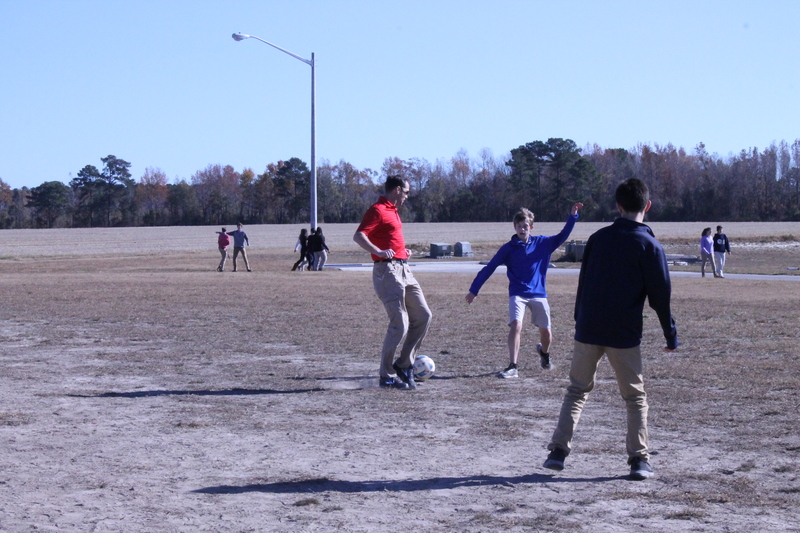 Upper school science teacher Chris Mitchell plays soccer with Thomas Sutton, 8, during lunch. The 2017-18 Prefect Council poses at the upper school during chapel after announcing Spirit Week to an elated audience. 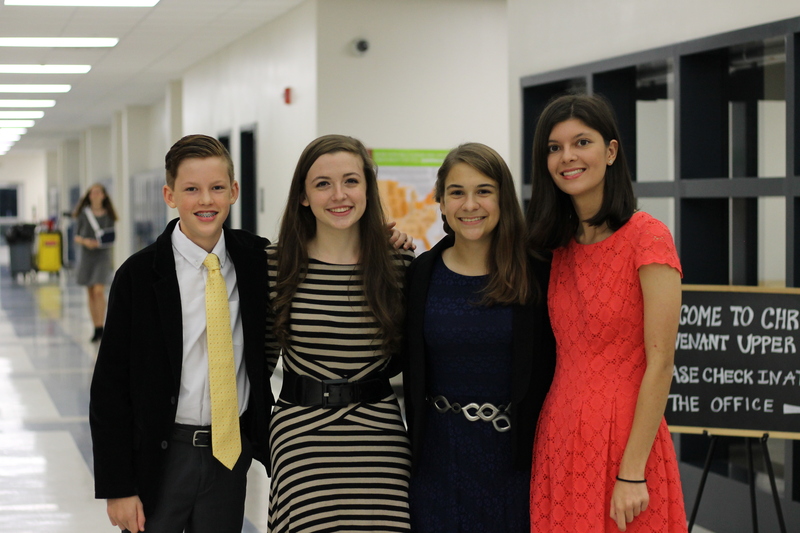 Tenth graders Mason Verhaeghe, Mackenzie Faulk, Laura Stroud, and Natalie Draper pose before going to sit with their parents in the audience. Photo taken by Lisa Stroud. 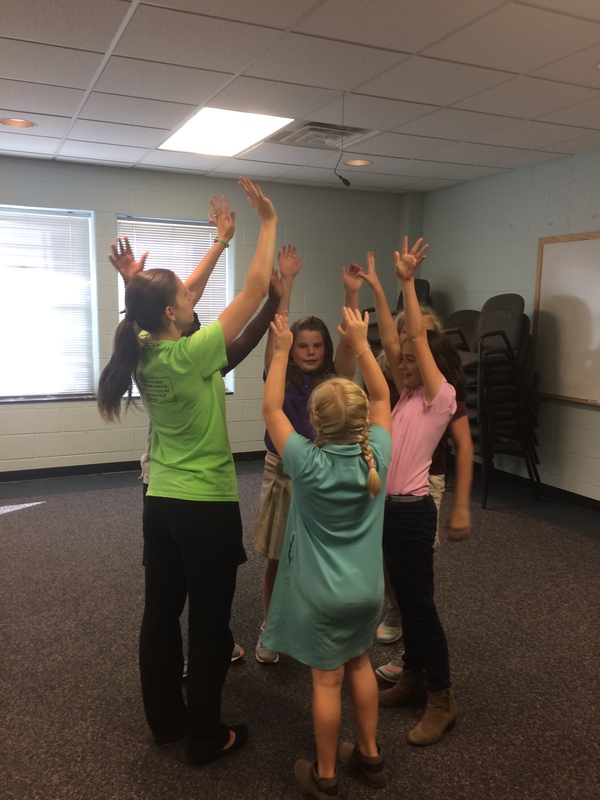 Young Actors Workshop, held at the lower school, concludes for the day with a hands-up celebration proclaiming a job well done. 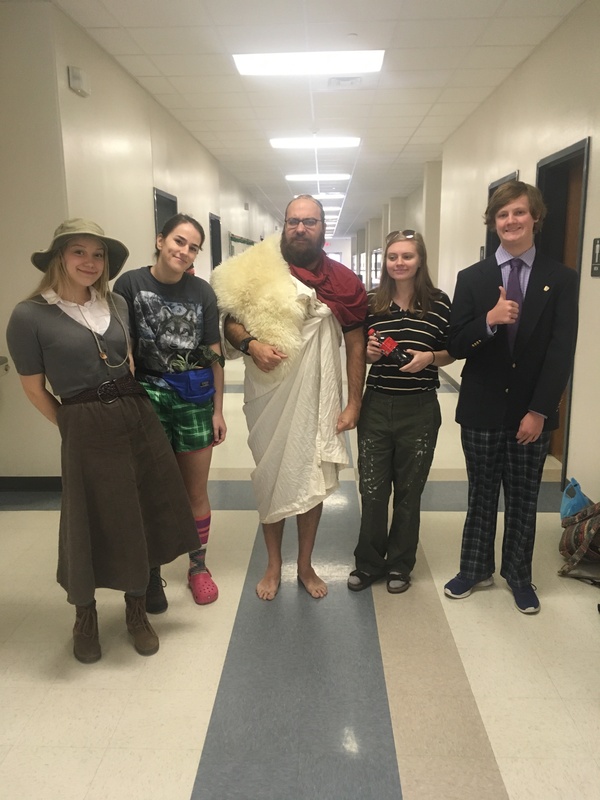 Photo taken by Mason Mattox. 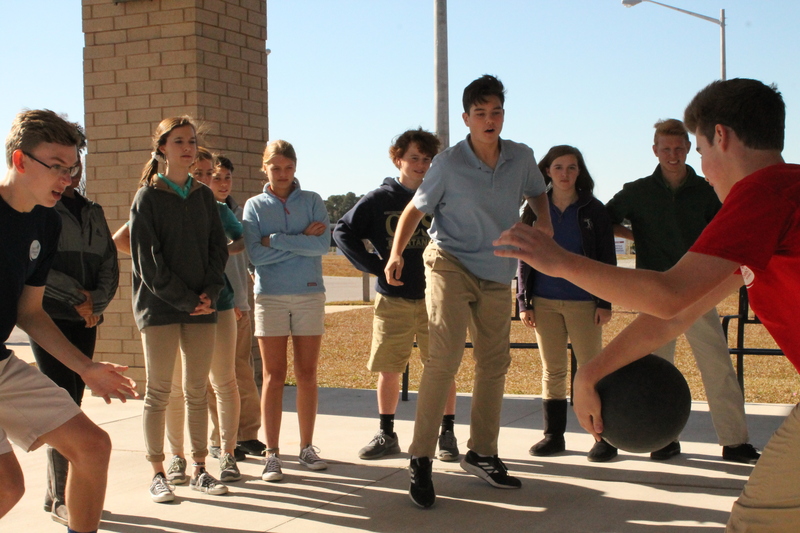 Upper school students with frantic feet play a game of four square during lunch at the upper school. 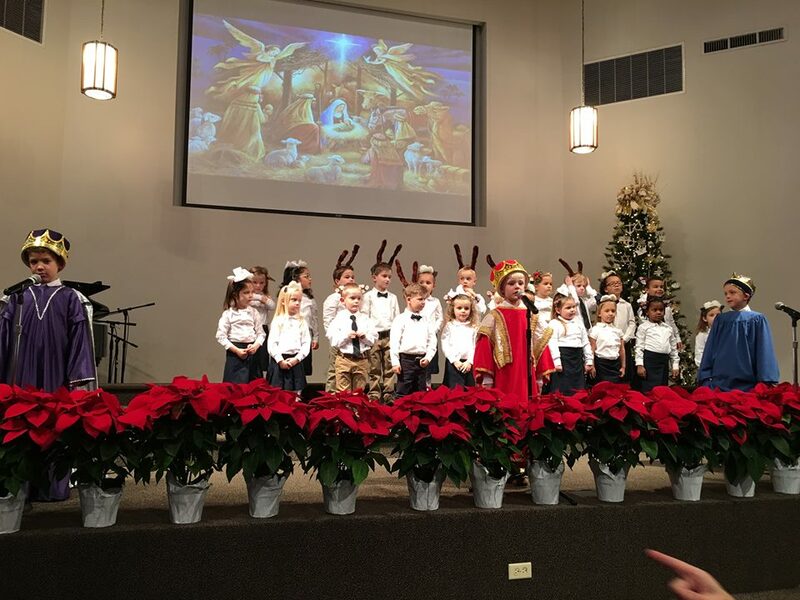 The lower school music class performs at the Christmas concert. 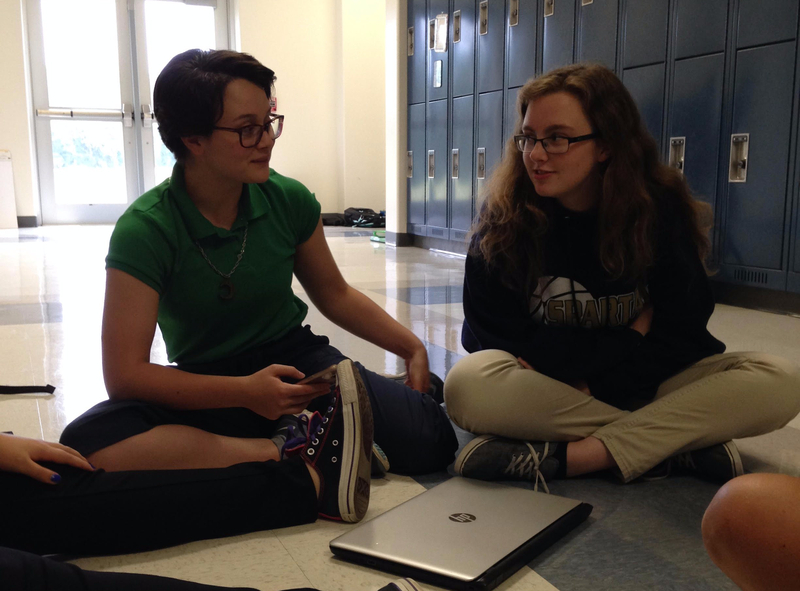 Every day at lunch, twelfth grader Laney Rivera and eleventh grader Maddie Singleton sit in the exact same spot with a few other girls, completing homework and cracking jokes. Because there are only three girls in the junior class, many of their close friends are from other grades. Photo taken by Bethany Lee.